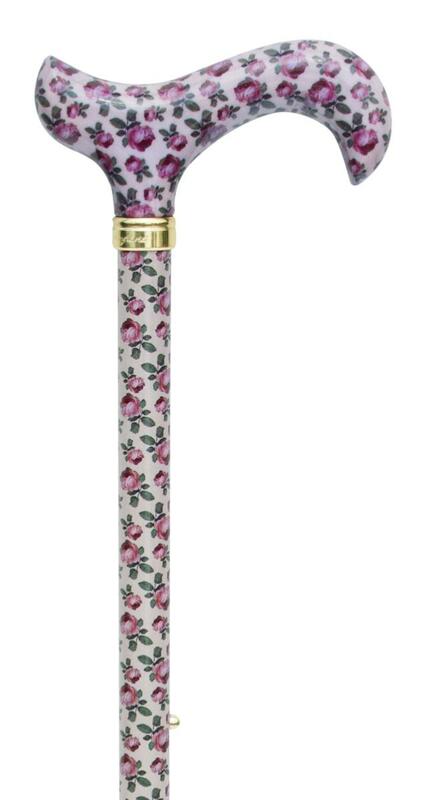 Produced by Classic Canes under licence from The National Gallery in London, this adjustable derby cane features a rose detail from the romantic 'Manon Ballett' painting (1757) by Jean-Marc Nattier, 1685–1766. This cane is height adjustable between 77 and 100cm (approx 30.5 - 39.5") making it suitable for a wide variety of users' heights. Fitted with a non-slip rubber ferrule. Item weight: 315g. Ferrule diameter: 16mm.